Dracula Castle does not exist! As a matter of fact, Count Dracula does not exist! He never did. But let’s be frank! How many of you would be triggered to visit the medieval castle in the Carpathian Mountains because Queen Marie of Romania (the actual resident of Bran Castle) was a “great queen who spread her blessing everywhere she walked“? Would you rather travel to Transylvania because her daughter, Princess Ileana, ran a hospital for soldiers in the castle during the Second World War? Truthfully, we all prefer the perpetuated legend of Dracula impaler, springboarded from Bram Stoker‘s gothic horror novel “Dracula” (1897)! This makes us intrigued enough to visit the small Romanian village of Bran, to unveil the truth about the bloodthirsty figure that was NOT historical. 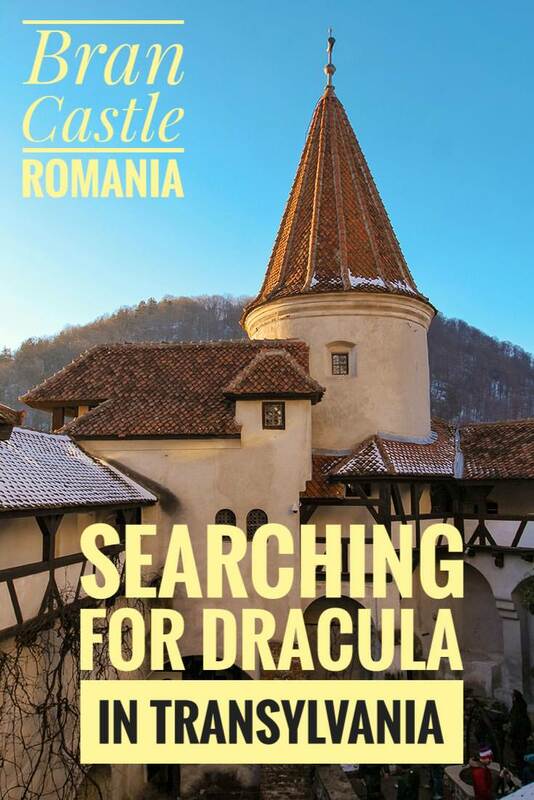 Our thirst for vampires, comparable only with vampire’s thirst for blood, made Bran Castle, one of the most beautiful Romanian castles, to be known as – Dracula Castle! Bran Castle’s birth certificate dates to 1377, almost six and a half centuries ago! Still standing! Is one Dracula Castle enough? Bran Castle is just one of the Romanian fortresses that could claim the title of Dracula Castle. It might be one of the nicest or the best-preserved ones, so the touristic exploitation of the legend of Dracula is the most fruitful here. But Poenar Castle, the ruin on the plateau of Mount Cetatea, was indeed the main fortress of Vlad the Impaler (Vlad Tepes, in Romanian), the reputedly cruel voivode of Wallachia who might have been the inspiration for Stoker’s Dracula. Similarly, Hunyadi Castle or Corvin Castle in Hunedoara might privatize the title of Dracula Castle on the claim that Vlad of Wallachia was imprisoned there for seven years! 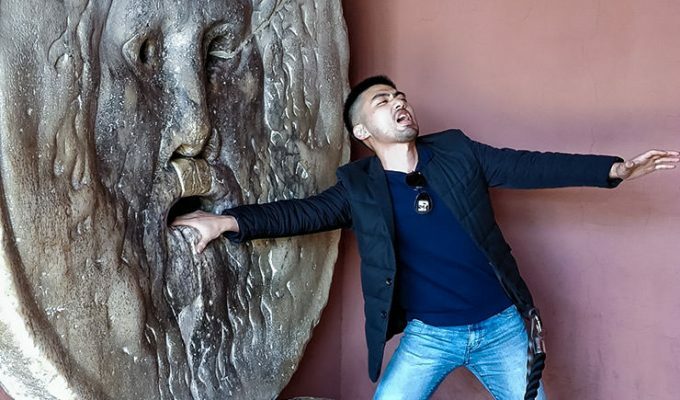 Bran Castle defends its connection with Vlad Tepes by suggesting that the Impaler was locked up in the castle’s dungeon for barely a couple of days, maybe months! None of this is truly relevant. Bram Stoker has never visited Transylvania! If the region did inspire him, it was through the stories or drawings of the people who traveled there. The evidence that Stoker even knew about Bran Castle does not exist. His description of Dracula’s fictional home does not match the summer residence of Queen Marie! But tourism is built on stories, even the imaginary ones. The exploitation of the touristic capital of Dracula’s brand is chaotic and inconsistent. The real and “the real” Dracula Castles are more than 300 kilometers apart! Where is the real Dracula’s castle? Romanian Kitsch Museum, opened in Bucharest in 2017, clearly depicts the legend of Dracula as the money-making fuel of today’s Romania. The museum claims that almost nobody in Romania even heard of Dracula before the 1990s. The exploitation of the touristic capital of Dracula’s brand happened to be chaotic and inconsistent. The facts are that Bram Stoker published his novel “Dracula“ at the end of the 19th century when Transylvania was not even a part of Romania! He placed Dracula’s castle in the Carpathian Mountains, on the border between Transylvania, Bukovina, and Moldavia, near Borgo Pass (Pasul Tihuta). Bran Castle is located in Transylvania, on the border with Wallachia. The museum has calculated that the real and „the real“ Dracula Castles are more than 300 kilometers apart! 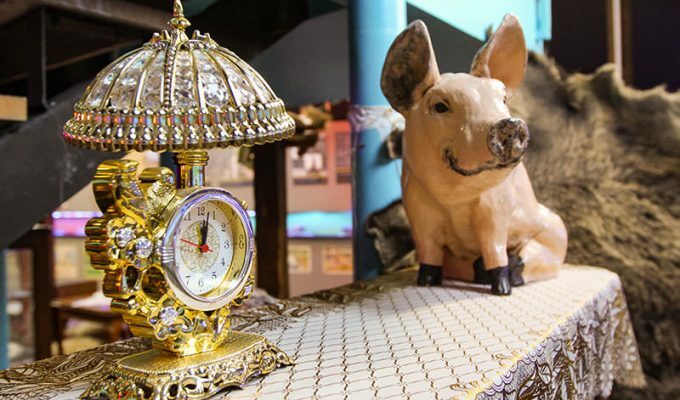 If you want to know more about the youngest museum in Bucharest that bravely unmasks political, religious and everyday kitsch, read the article Romanian Kitsch Museum: Where Poor Taste is Sacred. I embark on my Dracula hunt in Bucharest. Northern Railway Station is the departure point for the journey. It is an early start, so the store that sells church objects is still closed. Every train station should have one of these, don’t you think? Magazin Obiecte Bisericesti opens at 10 am, so I can only peek through the shop window, longing for some holy incense or an icon that could come in handy when one confronts the Devil’s son (which is an actual meaning of the word Dracula). Depending on what you find more comfortable to sacrifice (time or money), the train ticket from Bucharest to Brasov will cost you anything between 24 and 48 Lei (5 to 10 Euros). Depending on the number of stops, the train ride can last from 2,5 to nearly 4 hours. If you wonder how to get from Brasov to Bran Castle, you will need to jump on a bus! Just in front of the Brasov Train Station wait for any bus going towards Stadionul Tineretului (23, 23b, 25, 29). The ticket costs 2 Lei (40 Cents). Exit at the fourth stop and walk south towards the Bus Terminal no. 2. Here, every 30 minutes on weekdays and every hour on weekends, the buses leave for a 45-minute ride to your final destination – Bran Castle. This ticket will cost you 7 Lei (1,5 Euros). There it is, Bran Castle! Perking on the mountain rock, almost bragging with its invincibility! The leafless trees surrounding the cliff reaffirm the eerie setting one expects from the promised story of Dracula. Well, in autumn and winter at least. With an English park and two frozen ponds at the foothill, the views are lovely. To enter the castle, you will need to do some uphill walking. After all, you are not Queen Marie who ordered the installation of an elevator in the 57 meter deep well shaft, so she could more easily access the park where she would enjoy her cup of tea. The lift is out of function now, so if you have arthritis, as she had, maybe Bran Castle visit is not for you! However, the climb towards the castle entrance should not be a huge complication for anyone with average stamina. On the sides of the path, flags promote the castle with the imagery of bats, voodoo dolls, and silhouettes of impaled men. „Let your children experience the fun that the mysterious castle provides“, says one of the promo flags. The construction of Bran Castle finished in 1382. Made of river cobblestones, brick and wood, it went under restoration several times. Fixing the damage caused by siege, storm, fire or simple passing of the time, was continuously changing its architecture into a gothic-romantic citadel with 20th-century upgrades we see today. Hungarian king Louis I of Anjou was the one who commanded the construction of the castle, in order to control the access to Wallachia, both in military and economic sense. The castle became a customs post on the critical mountain pass. 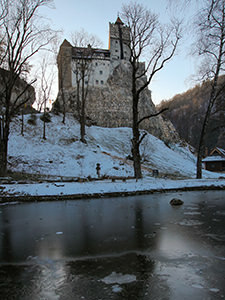 After the history of different local conflicts, Bran Castle came under the control of the town of Brasov. Even in 1898, two decades before officially entering Bran Castle, Princess Marie was well-prepared for the battle with potential vampires. Who could ever confront this Christian headpiece promoted in Cosmopolitan Magazine? When in 1920 Hungary ceded Transylvania to Greater Romania, Brasov town council offered the castle to Queen Marie. They described her as “the great queen who (…) spreads her blessing everywhere she walks, thus winning, with an irresistible momentum, the hearts of the entire country’s population”. It soon became the favorite summer retreat of the queen. She loved it so much that she asked for the removal of her heart after death, so it could be buried next to the castle. Her wish was granted. They placed the heart in the silver box, then into a precious ornate box, wrapped it in flags of Romania and queen’s native England, and finally placed it in a marble sarcophagus. The sarcophagus was stored in a memorial crypt carved in the mountain rock. In the World War II, Bran castle served as a hospital (of course, the Hospital of the Queen’s Heart). 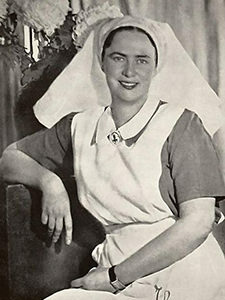 Led by the queen’s daughter Princess Ileana, who put on the nurse uniform herself, the hospital was treating the wounded soldiers from the region. In 1948 the communists forced the royal family to leave the country and seized the castle. 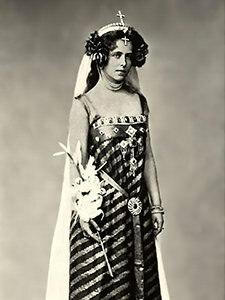 It was returned to the Habsburgs, Princess Ileana’s heirs, in 2006. In this short historical review, there is no mention of Dracula. But he was passing by, several times! Dracula, or Vlad Tepes III (1431-1476), was the son of Vlad Dracul, member of the Order of the Dragon or the Order of the Draculestis. Sure, the dragon does bear the symbolism of the devil, but the order was founded by the Hungarian royalties, King Sigismund of Luxembourg and Queen Barbara Cilli. The goal was to ensure the royal family’s safety and to protect the Christianity from Turks! Basically, Vlad Dracula was a hipster. Not just for his style. In 15th-century Europe spilling blood was quite trendy. 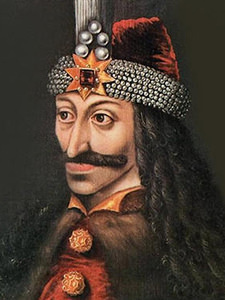 In 1442, the Ottoman Empire emprisoned Vlad Dracul and his sons. After they executed his father, they allowed Vlad junior to return home as a prince of Wallachia, with Turks supporting him. Dracula based his regime on brutality. He gained his nickname the Impaler because he favored this cruel capital punishment when dealing with enemies! To be fair, Europe of those times was a macabre environment. Louis XVI, Matthias Corvinus or Ivan the Terrible certainly could not be considered saints! The blood was a building block of borders in feudal Europe. Even if the package of Bran Castle is indeed labeled as Dracula Castle, the official website clearly states: “The outstanding figure of the Wallachian ruler Vlad Tepes (Vlad the Impaler), son of Vlad Dracul, does not seem, however, to have had a significant role in the history of Bran Fortress.“ Actually, out of 57 rooms in the castle, only two are dedicated to Bram Stoker’s Dracula and Vlad Tepes. I guess, due to popular demand. Royal family spent many winters on this warm carpet. Cozy, right? 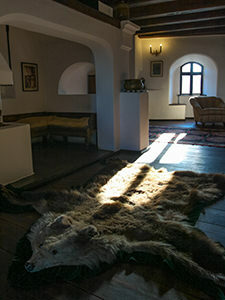 Today, Bran Castle is the museum of furniture. From bear skin rug to the daggers collection, it gives an insight into the lives of the royal inhabitants who once used these premises. 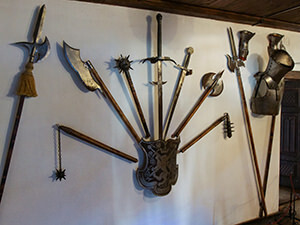 You might find an armory, some costumes, the “secret staircase“ connecting the first and the third floor or narrow hallways where the Christmas tree can barely pass through (witnessed that!). You might find even the cabinet with the sign saying “Please, do not knock!“. But you will not find Count Dracula! Even if you gather some courage and knock on the dark cabinet. 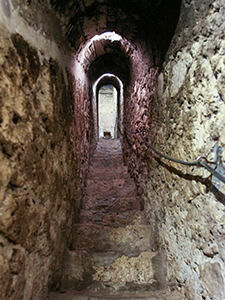 The navigation through the castle is one-way and easy to handle. Just follow the crowd, and you’ll get your portion of selfie-taking moments! The written descriptions of the exhibits are quite lengthy and often lost in translation, but at least reward the effort of reading them not only with information but also – with some laughter. The historical royal manor house is apparently a well-marketed project. 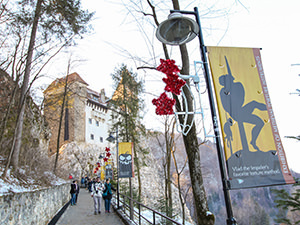 The tour of Bran Castle ends with not one, but two souvenir shops! You can spend your money in the restaurant as well, former queen’s tea house. You can even rent the castle for your private event! Airbnb, for instance, organized one of the “sleepovers of your dream“ in, what it called, of course – Dracula’s Castle. 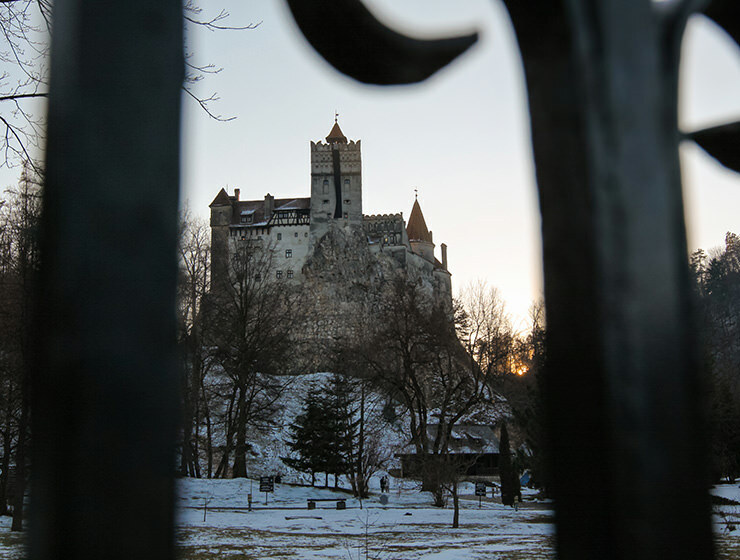 Sleeping in a coffin might be a luxury, but the times, when the position of Bran Castle was of a strategic significance concerning the economy, have long passed. The property has been placed on the market several times with bids reaching 135 million dollars but never sold. If you dream of owning your own Dracula mansion and don’t know where to drown your millions, keep your eyes opened! Dracula Castle for sale – you don’t see many notice boards like that these days! The staircase connecting two floors of Bran Castle had a secret entrance – through the fireplace! Bran Castle is in Central Romania, on the border of the historic regions of Transylvania and Wallachia. 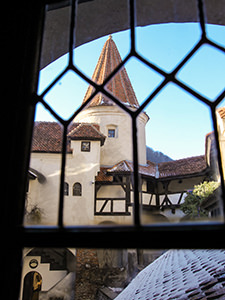 The first mention of Bran Castle is in 1377, when King Louis I of Hungary issued the permission to the town of Brasov to build the stone castle, at their own expense. They erected the building in 1382. Bran Castle is built on a cliff, at an elevation of 762 meters. It has 57 rooms spread over four floors. On the first floor, there is a small dungeon where they supposedly held Vlad Tepes in 1462, after Matthias Corvinus’ troupes arrested him. The general public cannot enter this room. The secret passage from the 1st to the 3rd floor was first discovered during the 1927 renovation. The entrance was through the old fireplace. Bran Castle is one of Romania’s top tourist attractions. Half a million people visit it every year. Searching for a place to stay in Bran? Disclaimer: This post contains affiliate links, which means if you click on them and make a purchase, Pipeaway may make a small commission, with no additional cost to you. Thank you for supporting our work! How beautiful, this inspires me to visit Romania one day. So interesting. I love learning about the true history of places. Dracula or not it would be a cool castle to visit. Thanks for your comment, Amanda! It is definitely worth a trip from Bucharest – nice one-day excursion! Oh I have also visited the Bran Castle earlier this month! a must see for sure if anyone is visiting romania! Great that you liked it? Where else have you been in Romania?